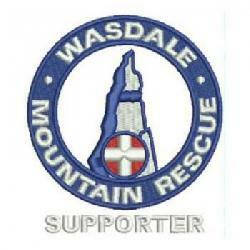 The team leader was called directly from the Wasdale Head Inn by a Wasdale team member. A lady was extremely concerned that her husband had not returned from a walk somewhere in Wasdale. They were here on holiday (from Jersey) and were staying with friends at Bigrigg. Her husband had left Bigrigg at 0830 hrs, intending to do a two to three hour walk and return by lunch time. However, although his car was at the Green, we had no indication of where he might have chosen to go. The police were asked to send an officer to Wasdale Head to talk to the lady and determine the answers to some crucial questions e.g. : where might he have gone. The police officer arrived at Wasdale at around 1730 hrs. and having spoken to the wife, determined that the missing person was indeed at risk. The team leader discussed the details with his deputy and agreed the Team should be called to do a search of the most likely areas, before nightfall. At 1810 hrs. we were waiting five more minutes before doing a full call out – the Policeman was going to open the missing person’s car, looking for notes or clues as to where he might have gone. At 1815 hrs, as the Policeman was searching the vehicle, the missing person turned up. He had gone for a longer walk than originally planned and was safe and well. A small number of team members were involved during the period up to the missing person turning up including numerous telephone calls.